In a very recent HWAA show on Universal Light Radio Saint Germain came to bring us up to date on where we are and as always give us some good advice. …. being in the here and now, is especially beneficial at this time of transition. “and here we start to get down to some of the nitty gritty of our conversation today. The proviso is if there are things, elements, memories, energies, it matters not, that are coming to you from the future, from your current reality, or might we say even from past, and it does not even necessarily mean your past. If these energies are knocking on your essence door, which is very large at the moment, and from here on in for that matter, it does not mean if these energies or this essence, is disgruntled, disorganized, discordant, recalcitrant, and I’m talking whether it looks like you, looks like the collective, or a certain event or situation, you may observe it, not in judgement, but in the depth of your wisdom, the depth of your divine authority. Look at it and do not integrate it…. Saint Germaine has a lot more advice to give on this subject and you can find that in the full transcript below. So again, we are reminded of this fact that the old third is gone, and He says that that’s why we should nor engage in it – anyone who tries to remain in the old third must literally REINVENT IT to be there. “It is important that you maintain, more than ever, your sacred space. And in this way, you begin to create Nova Earth, rather than engaging with those that would like to reinvent, because it requires reinvention. The old third is gone. And you say, “But I witness it all around me.” And these are the energies that want literally to reinvent the old. Now we experienced this in Atlantis. And by the way, that is also why Serapis Bey wanted to come and talk. He knew that this was Atlantis week, but let us go on. In Atlantis, we had the islands of temples. The Mother’s Temple of Wisdom, which was next to mine, ours, the Temple of the Violet Flame, and these were sacred places. In our temple, it was where what we referred to as priests, and that was male and female, and it was a secular term, not connoted or attached to any religious belief system. But this was sacred space, and the islands of temples were sacrosanct and pure. But as you well know, there was a push and pull of those who wished to not only find their own gods, but to be God. Now I say this, and I want to explain it. Then He gives us an understanding of why we are so exhausted at this time! “Most of what you are experiencing right now in terms of what you feel as bombardment or exhaustion is, in fact, from the populace that is on planet right now, the human populace. The animals, the elementals, the trees, the grass, the leaves, the stones, the sky, they are clean. They are advanced. But what you are feeling is the battle cry of a defeated segment. Now in that chaos, there are situations that are coming to the forefront so that the collective in their transition to new choices can say ‘no more.’ We are so sick of this we do not choose to continue in that way. So you, beloved ones, and when I say you, I mean all seven billion of you, are reaching a point, pre-Atlantis, where you will say we are not going to allow this discordant, recalcitrant, hateful energy to destroy us and the Mother’s Plan, and the fulfillment of that Plan that we are one thousand percent, one million percent committed to. 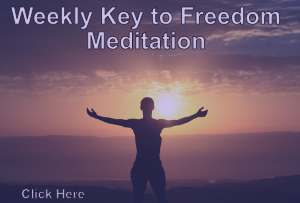 So what you are doing is you are already starting not only to eliminate, or organically change with the laws of change or transmutation, you are beginning, but you are doing it not in simply zapping and saying, you’re gone. 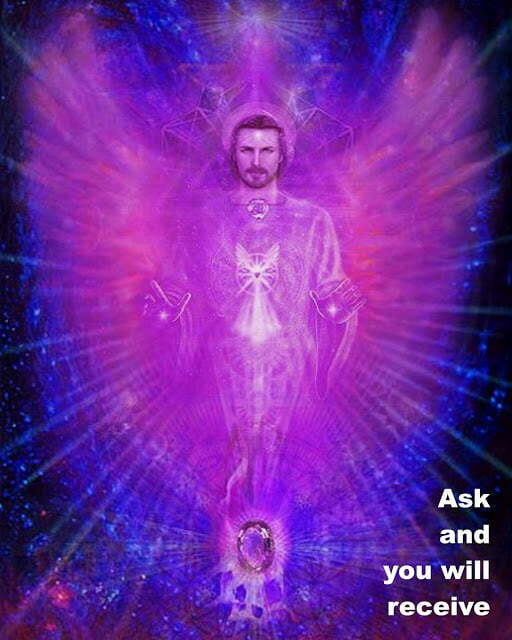 You are creating the new and that is truly the purpose of the Violet Flame. It is restoration, yes, it has the ability to incinerate, transmute, transform, transubstantiate that which is not of love and wholeness. TZ again; So now I will let the conversation between Steve and St Germaine continue so you can understand the scope and size of the old Atlantis. SB: Well, thank you St. Germaine. Before going into my main questions, I’d like you to help settle a mystery once and for all, and that is, where is Atlantis? Where is it located? SG: Yes, there are many opinions and you also need to realize Atlantis was a huge land mass, with many, can you say “outlier” islands. So, think of the Atlantic ocean, and rather than having the entire ocean as water, there were, and there was a plan to this, if you think of the East Coast of the United States primarily, from Bimini up to what you can think of as northern Florida, and then out and then up, jutting upwards somewhat towards what you would call Newfoundland, then out, well out into the ocean, then outlier islands, particularly close to England, and part of England by the way that did not sink, England, Ireland, some of the Orkneys, some of the Scottish Hebrides, and even down around the horn in what you think of as Mesopotamia. SB: Wait a minute, wait a minute, we just went from England and Ireland to Mesopotamia. SG: And then you go South into Greece, and then…it was massive. Why do you think, for example, that so many migrated directly from some of the, what we would call the out islands of Atlantis, over to Egypt? SB: Well, yes, when you explain it that way, but does that mean that, pardon me, most of Western Europe is part of Atlantis? SG: It is more bits and pieces than Western Europe. Western Europe comes from very, ah shall we say, a different background. SB: Then how did we get from Britain to Mesopotamia? SG: Go around Britain, down through the Mediterranean and think, land masses were not as they were today/are today, or even were a long time ago. There were many large bodies of what you would think of not as rivers, but as seas. So you went down, you went down from what you can think of as the Mediterranean/Aegean and down towards Mesopotamia. SB: Down towards Mesopotamia. Mesopotamia is East, right? SG: You are talking about the area that you would think of as Israel, Egypt, that area, Palestine. SG: Yes, most people try to make Atlantis a tiny little island where they can go vacation. Well, they will be welcome to come and vacation, they already are, but it was much bigger than that. And in the sinking of Atlantis there was a transfer, let us put it that way, a transfer of much of the energies and the sacred places that were implanted elsewhere. SG: Yes, various hedges, yes, secret places that are now being revealed. SB: Hmm. And where was the Temple of the Violet Light exactly? SG: It was off the coast of Bimini. SB: Hmm. Is it possible for you to give us a latitude and a longitude? SG: There, that has already been discovered and all you need to do sweet ones are to Google it. SB: (Laughter) And all this is coming up. SG: Yes, well not all of it, but most of it. Yes. SG: And it is being engineered and certainly engineered with us and your star family to make sure that there is no displacement as well, because we can already hear millions screaming, but the water! Where will the water go? SG: In concert with your star family, much of the water, and this also pertains not only to the rising of Atlantis, but also to the, what you can think of as global warming. Your brothers and sisters of the stars, particularly the Halion engineers, will be vacuuming up a great deal of the salt water, putting it through desalinization and bringing it to the places of severe drought and feeding the Earth in ways that will restore a verdant garden. SB: Why that’s going to be something. SG: There is so much to look forward to. So stop looking over your shoulders, dear hearts, and get going. SB: Well, just before we get to that, because it is exciting times right now, so now, the ocean floor is rising and what comes up but 300 shipwrecks and just a lot of sand and mud. What, are we going to be shocked when we see Atlantis come up from the sea? SG: No, the agreement is, also there is a great deal of engineering already going on, so what we are not doing is bringing Atlantis back as a dump site. It will be clear and radiant and beautiful. SB: Okay, well that is very exciting! And you say it’s Atlantis week? Who has made this Atlantis week, because I wasn’t aware of that. SB: Very good. So be it. Okay. 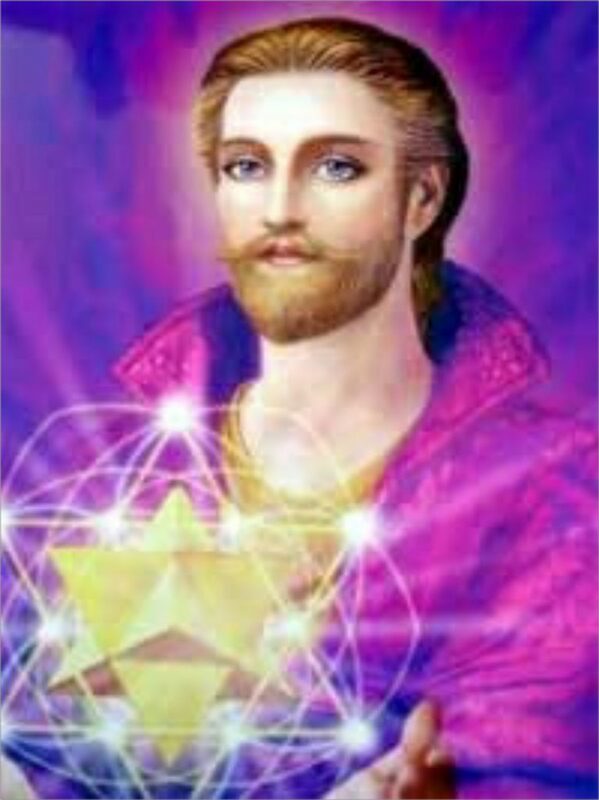 SG: The channel has said to you that Serapis Bey also wished to come and speak. He is well known for his ascension chamber at Luxor, but that was his second chamber. The ascension chamber was part of the island of temples, and so that is why he wanted to come and reassure each and every one of you. Not that you aren’t doing rigorous work with self-discipline, but to make clear to you that his ascension temple is also clearly and completely and lovingly available to thee. SB: Thank, thank you. Thank him through you from us. Now, are you saying the island of tempas? Or the island of temples? SB: Temples. Okay, and that was just off Bimini, you say? SG: That part was just off Bimini, yes. Therese Z here; just to say that this article will continue as Saint Germaine has much more advice to give us in these final days before our transition. I should have Part Two available in about 2 days. Sashwat pranam, shree shree Saint Germain. In the Violet flame of love with the Vcitory to the light. So be it . so it is. I AM.Thank you so much, so much. What wonderful explanations. Thank you St. Germaine! I am getting ready for the rising of Atlantis!